There is something magical about the number 30 for me this month. I honestly need to fly to Vegas and play that number repeatedly. June marks the 30th month that I have been running since receiving the now “dinosaur” Nike Plus running watch as a gift from my wife on Christmas Day 2009. This month I will run my 3,000th mile since I began keeping a log on Jan 1, 2010. On that day I weighed 218 lbs and could barely run a mile at the Vestavia Hills High School track near my home. Today, I weighed in at 188 lbs. I have never felt healthier in my life. Why have I become a true Running Addict? Is it the 4 marathons, the 8 half-marathons, 2 200 mile team relays, several 10K’s, and several 5Ks over these past 30 months?? And a plan to run a long distance race nearly every month??…. Is it the quest to break 4 hours in that 26.2 mile torture test?.. well… maybe that has something to do with it…but….it’s much deeper than that. My life has changed dramatically over the past 30 months. We now have a son…at age 46 I am the father of an 18 month old boy who is already throwing tennis balls at my head. I will be 57 years old when he is playing pee wee football. Our oldest daughter, Kennedy, recently graduated from high school and will attend Lee University in Cleveland, TN this fall to pursue her calling to youth ministry and voice performance. Our other 3 daughters are all achieving the highest marks at school and are cheerleaders, dancers, gymnasts, soccer players, etc. We are very blessed to have 5 healthy children. Today, as I ran an up tempo 5 miler in Homewood, I spent the entire run daydreaming of the year 2029. Kennedy will be 35 years old. Sarah will be 29 years old. Maggie will be 27 years old. Savannah will be 23 years old. Olen will be 18 and graduating high school. The odds are very, very good that I will be a grandfather; possibly more than one. In 2029, I will be nearing 64 years old but one thing was very clear in this vision I had at 12pm today…… Olen will have to run a very, very fast qualifying marathon to run with me in Boston that year. Here’s to the next 30 months and the life changes that will come with them. On Oct 9th, I awoke at 4:20am after a surprisingly decent night of sleep. Although we were able to get an upgraded larger room at the Westin with 3 beds and a crib, my biggest fear of not being able to sleep with 7 of us in the room (including our precious 10 month old son) never materialized. I began my pre-marathon routine for the 3rd time in 12 months; a half cup of coffee, a peanut butter sandwich on wheat and a 16 oz gatorade. Then in the dark of the room I saw my running singlet. My wife had carefully placed every name carefully on the back of my Determination running shirt. I saw my mothers name at the top and the memory of her announcing 25 yrs ago that she had breast cancer came rushing back in my brain. The name of Kerry Peoples stared back at me on the white ribbon – my childhood friend who had died of cancer at the age of 35. Also, the name of Charlotte Rich – an amazing woman who touched so many of us at Hamilton High School with her teaching and kindness but inspired us forever with her long, courageous battle with this terrible disease. The name of Norman Holloway – our neighbor – the beloved father of the 3 “Holloway Boys” who was diagnosed and died within weeks earlier this year. I left the hotel at 5:30 and began the 2 block walk to the Chicago station and the Red Line that will take me to Grant Park. There were 2 runners from South Africa who were standing on the corner looking at a map. They had no clue where the train station was. My good deed for the morning. Walking down the stairs into the subway station I saw many runners waiting on the next train. Two ladies stood beside me. They smiled nervously at me and I said “Its going to be a great day”. They both nodded, smiled and then began talking in German to each other. As we got on the train, I grabbed a seat and pulled my running singlet from my backpack. I rubbed the ribbon of my Aunt Corrine who had died just a few years ago after a very hard battle with multiple cancers. On a red ribbon was the name Angela Bryowsky.. my sister-in-law who is now in her 5th battle with cancer and who I had talked to just a few days earlier as she was preparing for her monthly week of chemo for her brain tumor. I then went over every name. Read every one a few times. Tried to remember where each name would be on my back. We arrived at the Roosevelt Station and began the long walk in the dark towards the Charity Village and the Determination-ACS Hospitality Tent where I planned to continue to hydrate, stretch and add one final, very important ribbon. The night before I had miscounted how many white ribbons that I needed. I needed one more. For Erik Schmipf. You see, in memory of Erik is why I’m now less than an hour from running the 26.2 miles. Erik was the son of Heidi who works in our Lake Forest office. He passed away in 2007 at the age of 20 from Hodgkins Lymphoma and made my decision very easy to pick Determination to support for this race. As I tried to calm my nerves stretching in the tent I began looking at my running teammates who were now streaming into the tent. More than 700 strong would be running for the American Cancer Society in this race and each has wore the names of their loved ones honored on their backs. In total, our team has raised $1,000,000 as we trained for this race. Incredible. 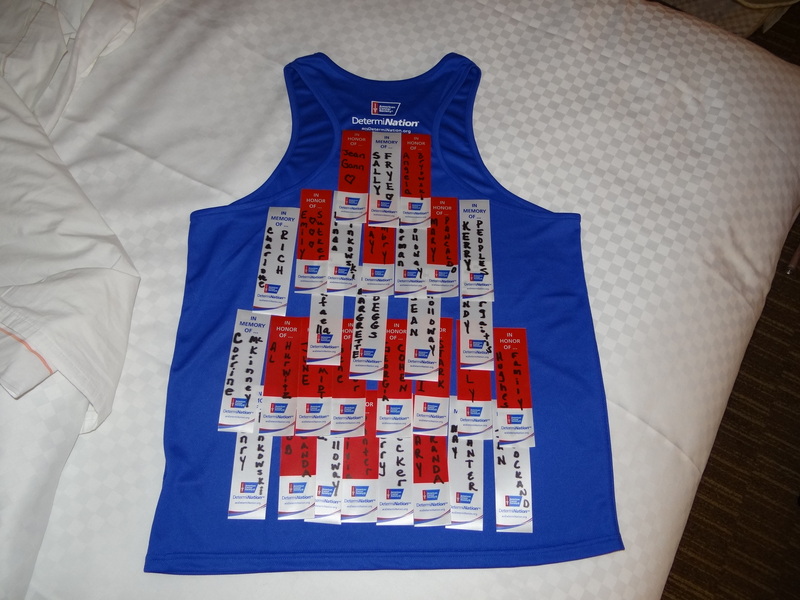 I slowly slid my running singlet over my head – making sure that each ribbon stayed on even asking someone next to me to make sure that they could all be seen – all 38 names. The race was amazing. 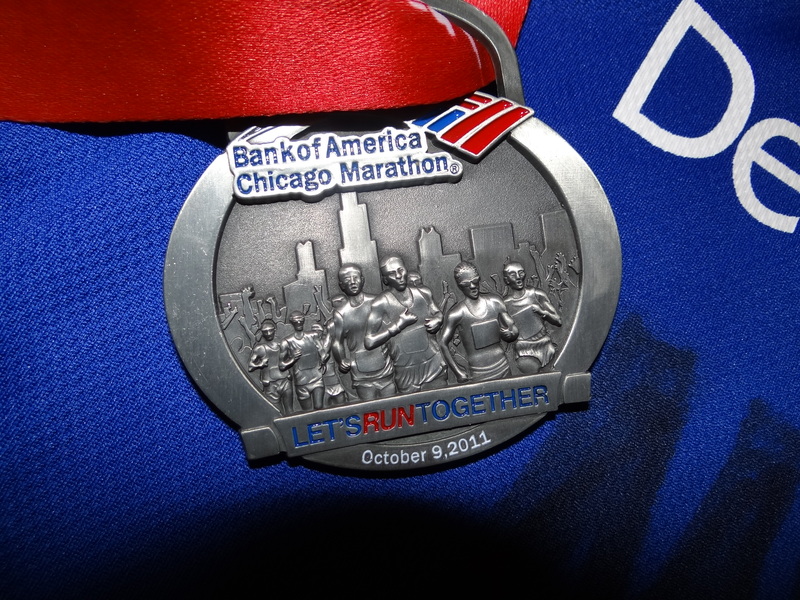 The city of Chicago came out over 1 million strong lining the streets to cheer all 38,000 of us who finished the 26.2 miles. I saw so many of my fellow Determination runners on the course and several times out of the blue the “coaches” ran with me for a few minutes…encouraging me…. talking to me… asking me if I needed any water or anything….. and telling me to remember why I was enduring this pain. It so helped me more than they will ever realize. At mile 20 I began the final 10K desperately trying to keep my pace and my dream of breaking 4 hours intact. It was somewhere on that mile that I saw a sign that said “Six Months Ago This Seemed Like a Great Idea!!!”. I laughed when I saw it but I didn’t agree with it. I was very proud of what I was about to accomplish. I crossed the finish line in 4:08:55 and accomplished my goal of running my fastest race yet. I got my medal and had my photo taken and then made my way slowly back to the Determination Tent. I walked with David Pittman, who honestly convinced me in 2010 that I would love being a part of their team. David is devoting his running life to fight cancer and many have joined this great purpose because of him. 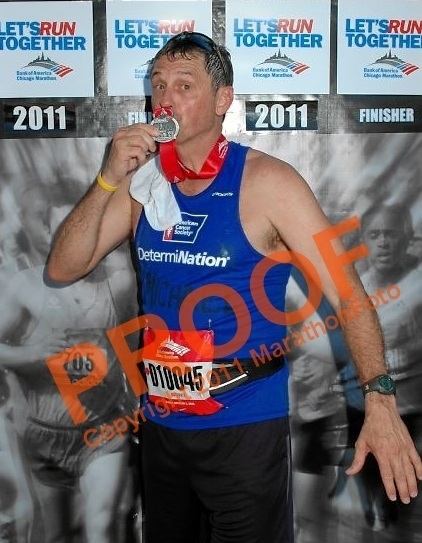 I arrived at the tent; immediately stuck my feet in the ice bath and stared at my medal and reflected on that hot race. Butterflies… anxiousness… deep-breathing…stretching… 10 minutes before the start of the 2011 Chicago Marathon… In the D Corral… discussing last minute race strategy with my good friend Chris Humphries… and to my right – Spiderman. And he wasn’t dressed in Spiderman clothing.. he was full body painted as Spiderman. This suddenly relaxed me… this was going to be fun. The horn sounded… the elites took off… and we slowly moved forward… I was walking along with Chris and Spidey… and suddenly the painted up dude races to our left… to relieve himself… right next to a woman who was squatting with one leg straight out to her left.. relieving herself…. I shook my head.. this was going to be fun…. I had multiple possible goals for this years race. I wanted to best my PR (4:20 May ’11 Flying Pig – Cincinnati) but also wanted to redeem myself over a terrible race a year ago (Chicago Marathon 2010) in which I had only been running for 9 months… had run too many miles while injured (achilles and quad) but somehow felt I could break 4:30. The race was miserable for me… the heat got to me (was 82F at noon) and I walked a lot more than I ever dreamed I would. I finished in 4:51 .. terribly disappointed with my time. 2011 would be different. In the back of my head I wondered if breaking 4 hours was possible. We would find out. My race plan was very simple. Plenty of GU (6 in my pouch) and plenty of salt/potassium tabs (20). I wasn’t going to cramp. No way was I going to cramp this race. 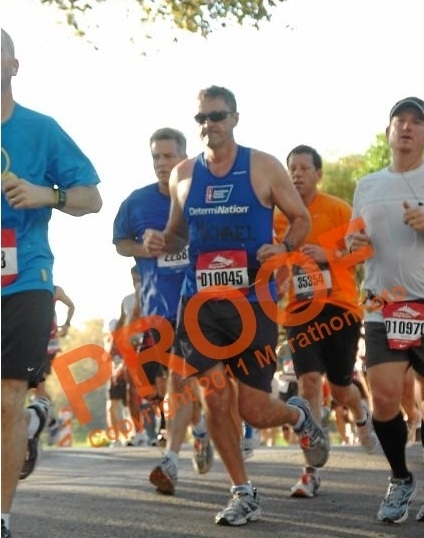 My last marathon (Flying Pig in May) consisted of quad cramps wrecking me from mile 21 until the finish. I had been using the supplements all summer in the heat and they seemed to work. Not one cramp in any long runs. Start slow. All of my long training runs (20+) in the hills and heat of Birmingham, Alabama had been pretty solid. And all had begun with 2 slow pace miles. So, the first 2 miles were consistently 9:20 / 9:25 pace…. although my adrenalin said go faster as many people were flying by me.. I kept the pace. I truly believe that was key for me as it was going to get warmer in a hurry. I crossed the 5K mark in 28:59 (9:20) on Lasalle and noticed that all of the 3:55 pacers were gone… I was beginning to see a few 4:15 pacers running with me now. I slowly jogged through the aid station.. and decided to take on a GU earlier than planned.. I was already soaked. As we continued up LaSalle I suddenly spotted my wife and kids on he right side of the road somewhere around mile 4. It was great to see them ..and eliminated the fear that I had that I wouldn’t be able to find them due to the huge crowd lining the course. I continued to run with a 4:15 pacer… and then on Stockton hit the 10K mark at 57:33… a nice 9:12 pace since the last checkpoint… feeling really good at this point..
Making the turn on Addison is a neat feeling in this race as you are at the most northern point on the course and the crowds continue to be loud… then turning south on Broadway for miles 8 and 9… and then to Clark and the 15K checkpoint… I was very pleased.. hitting it at 1:24:54 (an 8:48 for that last 5K) and my mind now went to maintaining pace and reaching the halfway mark in less than 2 hours. 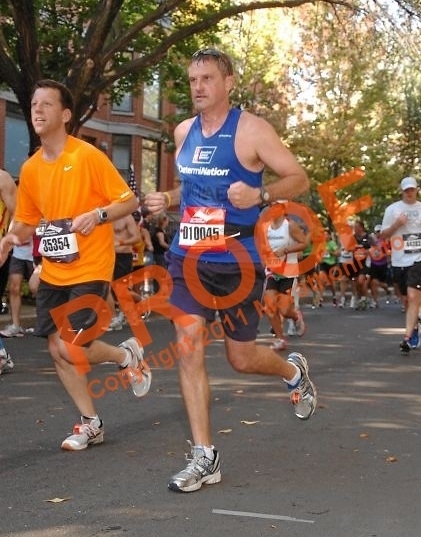 As I crossed the 13.1 marker at 1:58:53 my mind turned to the possibility of breaking 4 hours. I had put that out of my mind before the race because of the “yellow” conditions…the heat would surely zap me on the backside… but now I was a full minute ahead of where I had planned to be. I hit the 25K mark at 2:21:20 on Jackson Blvd and I repeated the words “MAINTAIN”..”MAINTAIN”..over and over… just maintain pace and you will easily have your PR…. but maybe …. 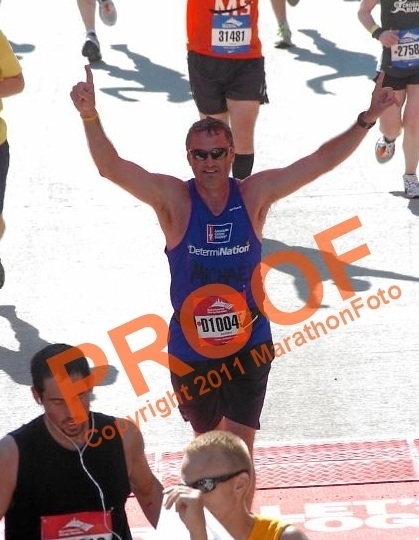 I remember turning on Halsted and mile 20… and my watch was at 3:02…. and the final 10K was in front of me. Maintain pace. It was possible. Could it be possible? Maintain. I remember crossing the bridge and thinking .. “just a 58 min 10K is all I have to do”… while the whole time I know that I was tiring. My legs were becoming very heavy. I stopped at the aid station at mile 22 and decided to walk all the way to the water from the gatorade. That would take about 90 seconds and I would get my legs back under me. However, it became very hard to start running again. My mind wanted to stop. I finally got going again.. but my legs were shot. 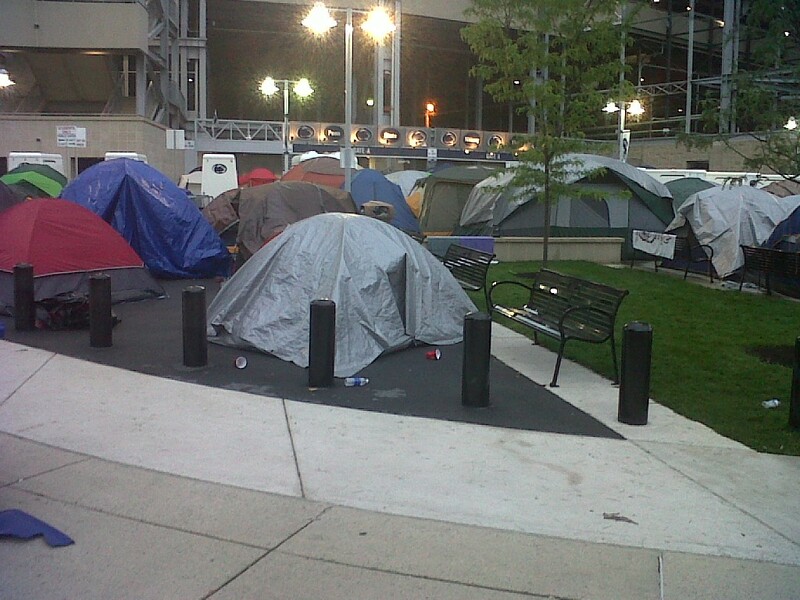 I turned on Michigan and then hit Mile 24. I was now stopping and walking every 2 or 3 mins… not walking long…but long enough to realize that I was not going to break 4 hours. I tried to think positively.. but my brain now said “4:02 is the same as 4:04 is the same as 4:06 is the same as 4:10”. All would be PR’s so why go through this pain. So I continued to walk a little but made sure I ran at least 2 minutes before I had to stop. I was exhausted. Then hitting mile 24 the crowds began to get larger again….. the noise level became intense again. I did not want to be seen walking. I ran a slow pace…but kept running to mile 25.. decided to stop and walk one last time for 30 seconds and then run to the finish. The crowd was huge. As I passed the 800 meters to go sign, I found energy to raise my arms to the crowd… they cheered louder… this was amazing. It then hit me that I was going to finish this race at least 40 minutes faster than the previous year. 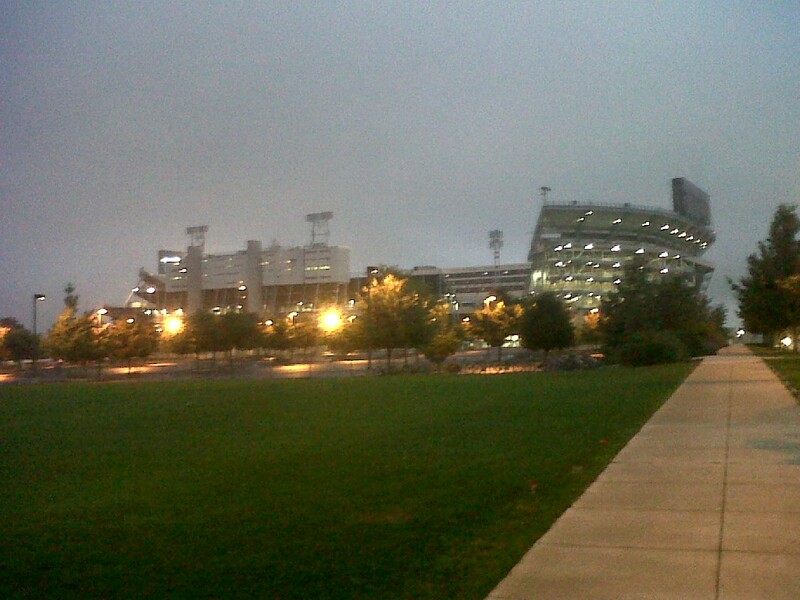 All of those 4:30am long runs on the weekend in that ‘Bama humidity was paying off. I had the wheels to run that last mile without stopping… turning up the hill on Roosevelt … high-fiving everyone who stuck their hand out… then down the hill…and the final 400 meters to the finish. Seeing that Finish Line sign in front of me brought tears to my eyes. I looked at my watch. I was going to shatter my PR. In this heat. I crossed the finish line in 4:08:55. A 12 minute PR and nearly 43 minutes faster than last year. Will I ever have another chance to break 4 hours? I hope so. Have I had moments rethinking the last 10K and what I could have done differently training wise to make that happen? Yes.. and I was momentarily disappointed. BUT – As I am very, very proud of this race. My family is very proud of me. I have watched my kids tell others that “My Dad runs marathons!” and it makes me smile. I am blessed. I am blessed to be working for a company that cares so much for each other. Even today when frozen wages and cost cutting has become the norm as we weather this economic storm, the office hasn’t changed the “family” atmosphere that cheers everyones good news and cries together in times of individual despair. 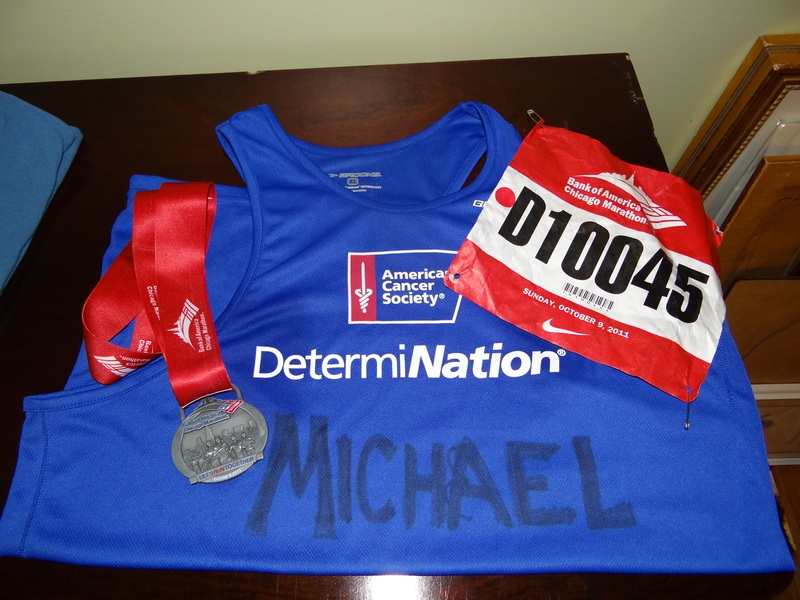 I made the decision to run this Sunday’s Chicago Marathon for Team Determination and the American Cancer Society after getting to know one of our wonderful CSR’s (Heidi) and how Hodgkins took the life of her son Eric (earlier blog). 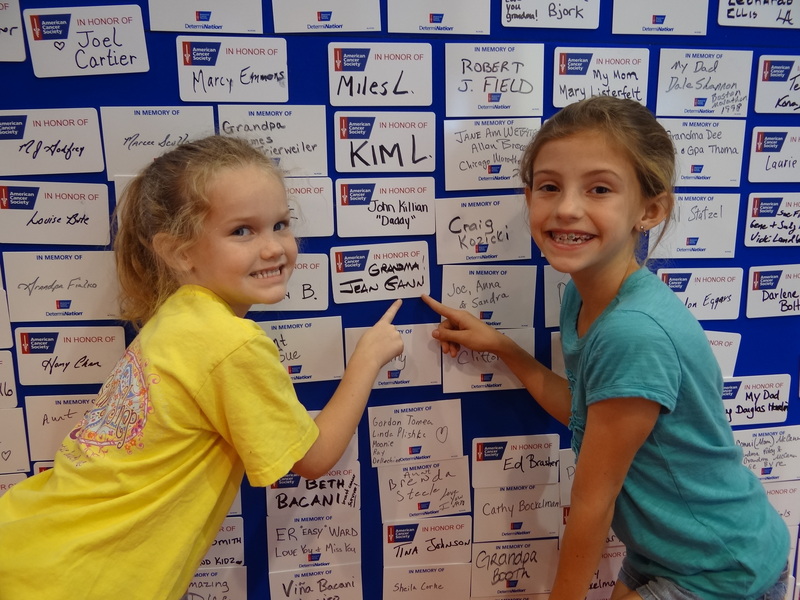 However, cancer has touched the lives of many more in our office. 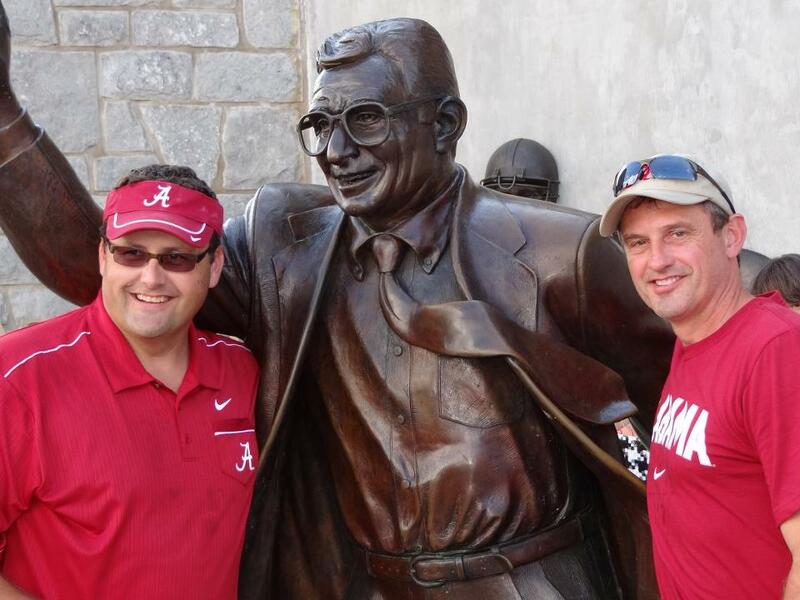 Our VP of Marketing (Jim) lost his father Jerry (age 73) to cancer in 2000. Jim eulogized his father saying “I hope my kids want to hang out with me as much I loved hanging out with him”. Mary (Product Manager) lost both of her parents to cancer. On Mary’s 7th birthday, her mother (May) died at age 46 from breast cancer. Her father (Francis) died at age 66 from lung cancer when Mary was 26 years old. Her sister Sylvia beat breast cancer 2 years ago. Also, her best friend Jan passed away 5 years ago after a long, hard battle with breast cancer. Mary has routinely supported the ACS throughout her adult life. Margot (Account Manager) had a genuine bond with her father-in-law (Hank) who passed away 13 years ago from bladder cancer. “Many cards from the funeral commented on how much he smiled and that he was always willing to put others first, and he always did”. Angie (Credit) lost her mother (Gail) in 1999 after a 5 year battle with breast cancer. She died only a month after turning 50 years old. All of these names will be on the back of my racing singlet this Sunday. Also, many more names that have been given to me through my Determination website as friends have made donations to this cause. Each name will be written in large letters on a ribbon on the back of my ACS Determination racing singlet. I personally know very few of these individuals who have fought the fight against this disease. But for a few hours on Sunday morning in Chicago, they will all be united with me as we run the 26.2 miles around the Windy City and celebrate what the nearly $1 million that has been raised by the ACS/Determination for this race will bring for future generations. This Sunday I will run the Chicago Marathon in memory and honor of so many family, friends and co-workers who have been affected by cancer. My journey to this point actually began 25 years ago as for the first time in my life the word “cancer” took on an entire new meaning to my family. It was a hot day in August of 1986. I was preparing to return to Tuscaloosa for my junior year at the University of Alabama after finally declaring my major to Marketing. Excited. Determined. Confident. And then the most unexpected news possible. My mother had been diagnosed with breast cancer at age 49. For the first time, the fact that she had lost 2 aunts to breast cancer suddenly wasn’t just a sad family story. One of them had died at the young age of 48. This could not be happening. I remember the confusion. She had the similar lumps for a few years. The tests had always come back benign. Actually, this appointment in Birmingham had initially brought the same result. There were definitely tumors but again not cancerous. Then the phone call came from the doctor. Something wasn’t right and they needed to run more tests. My mother travelled the 95 miles back to the hospital and then the worst of our fears were realized. There were full blown cancer in one breast and pre-cancerous cells in the other. So many questions. Could it be elsewhere in her body? What did this mean? I have 4 siblings and my younger brother Richard was only 15. We were terrified. The double-masectomy was performed a few months later in December. The doctors were very optimistic immediately following the procedure. Prayers were being lifted up. Prayers were answered. 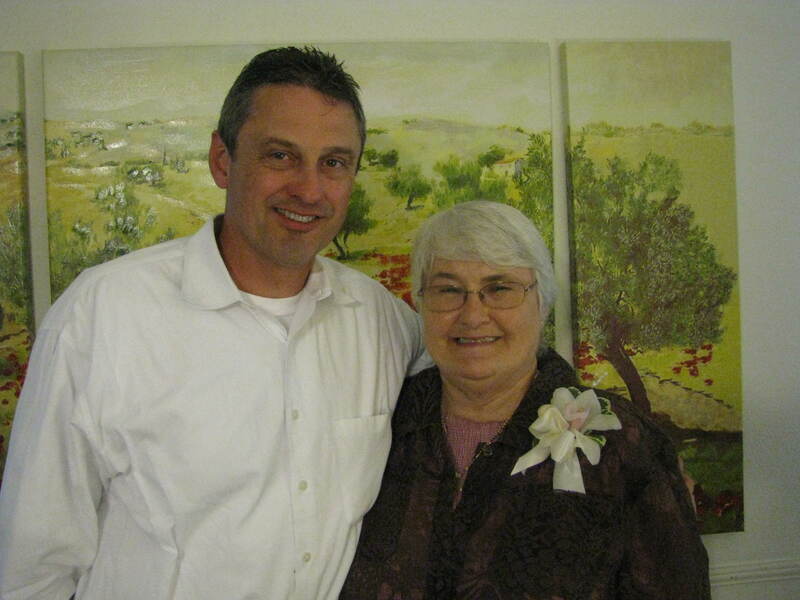 My mother, Jean Gann will be 75 years young later this month and has been cancer free for 25 years. Praise God. Along with my father, she has raised 5 children, has witnessed the birth of 12 grandchildren, and in 2012 will welcome her 7th great-grandchild. We are so blessed to have Jean Gann as the matriarch of our family. 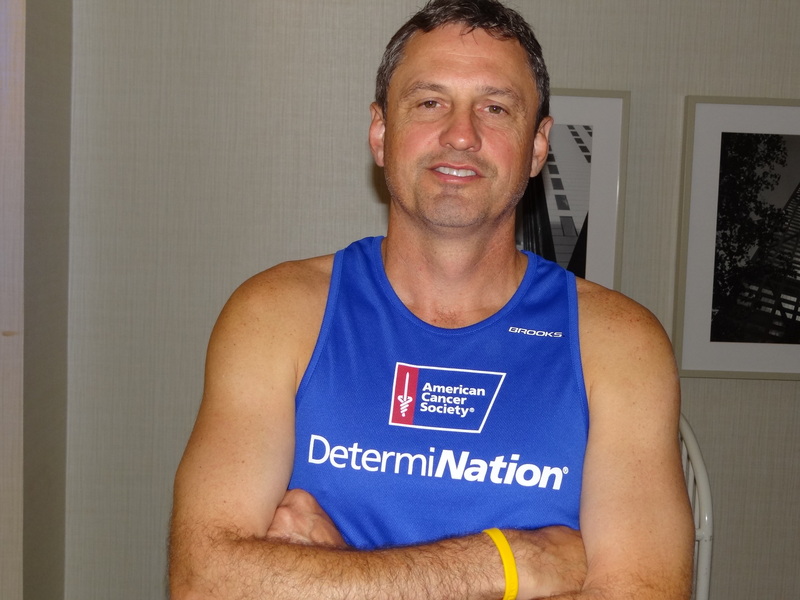 I am honored to run for the American Cancer Society and Team Determination. We are raising money to help educate families who have been diagnosed with cancer, funding critical research to find a cure, working with lawmakers to continue to regulate man-made cancer producers, and paving the way for more and more early detection so that future generations will have a stronger chance to defeat whatever cancer throws at them. Please take a moment to visit my website listed below to support this great cause in honor or memory of someone that you love who has been affected by cancer. There are many cancer patients in Northeast Mississippi who are battling some type of cancer for the first time. Their nights are sometimes sleepless as they face the reality of the news and the fear of the unknown before them. However, many come in contact with Nursing Supervisor Angela Bryowsky who takes the time to talk to them….pray with them.. and help them get through these dark nights. For you see Angela is also facing the reality of cancer………for the 5th time. Angela Cantrell Bryowsky will always be my sister-in-law. Who cares if she and my older brother were divorced many, many years ago. We share a family bond that will never be unbroken. Angela is also a true hero. A fighter. An inspiration to so many as she refuses to let cancer destroy her life. 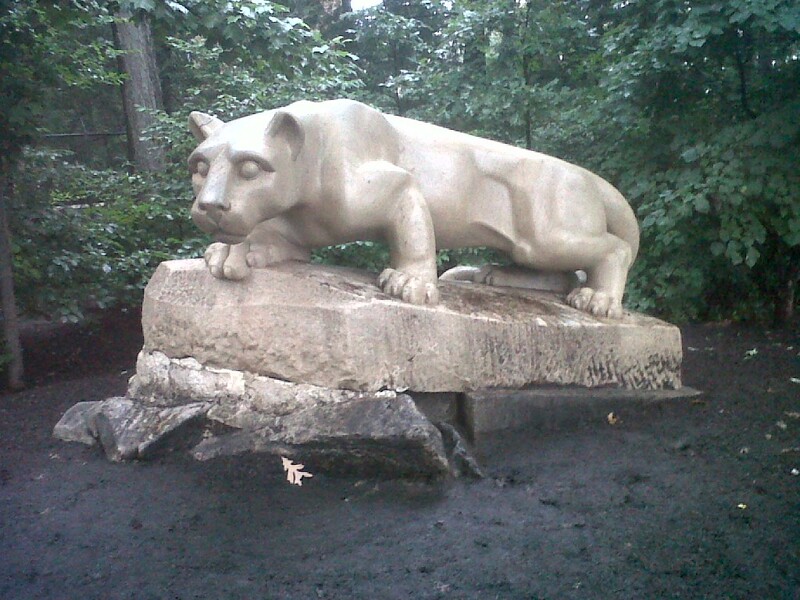 In 1998, Angela was was diagnosed with a oligodendroglioma grade 2 brain tumor. She was only 32 years old. Even 13 years later it still seems impossible. Surgery was needed quickly and in September of ’98 it was performed and then… joy. The surgeons were very pleased and the scans after surgery were clear of any of the remaining tumor. There was no reason to radiate the “good brain” at that time and they also felt no chemotherapy was needed. The family celebrated this great news! She went back to one of her favorite jobs of her career as a flight nurse 6 weeks later. For the next 5 years things were back to normal. 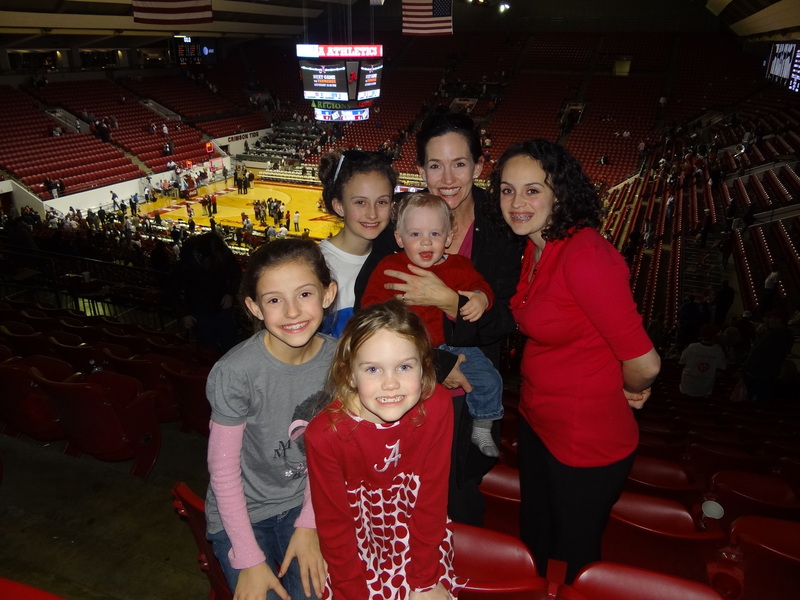 Angela continued as a flight nurse and was active like other mothers in her church and the school booster club. 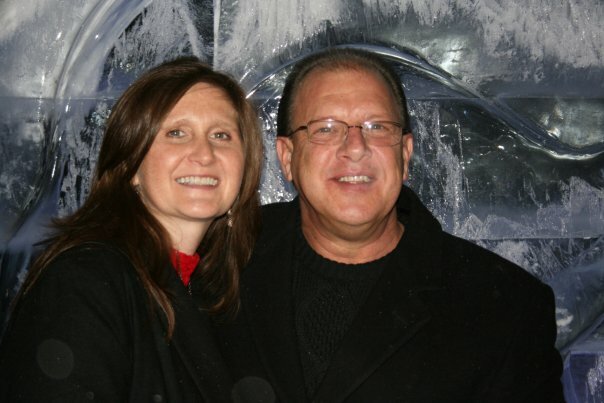 She was living a happy life with her husband Joe and her children. However, things took a terrible turn in 2003. After a routine physical there was a problem. Totally unrelated to the cancer from 5 years earlier, shockingly… cervical cancer with lymph node involvement was the diagnosis. Cervical cancer brought a hysterectomy and a lot of intense chemo that year. It was defeated. Then in 2004, the cervical cancer returned as a metastasis to the right hip bone. Radiation and chemotherapy were started again. Further tests revealed the cancer in the other hip, the spine and the right femur. Angela continued to work full-time in her job as the nurse educator for Emergency Services at the same hospital while taking daily treatments of chemo and radiation again for 6 weeks. At that point the cancer was gone! After 3 more months of chemo the treatments were stopped. Once again joy and relief. That was 2004. Forward to New Years weekend 2006. While driving home from a family celebration, Angela began experiencing stroke-like symptoms and went to the ER. CT scan of the head showed the brain tumor had come back. After seeing several specialists and a biopsy of the tumor, it was decided to have surgery in March of 2007. The surgery was to take place at the “Brain Suite” in Texas due to the depth and fragile place of the tumor recurrence. The surgeons were once again able to get “all that they could see” in the intra operative MRI and ultrasounds. Recovery was 6 weeks and Angela was then back at work as her job as Nursing Supervisor in Northeast Mississippi. A few months ago, Angela went back for her regular checkup. A normal scan of both sides of her brain found a tiny spot. Once again, the brain tumor had returned. In 2007, the doctors had warned that this was possible and thank God it was caught early – again. Currently, Angela is battling the brain tumor with a week-long, once a month chemo treatment. This does bring on a lot of nausea and makes her extremely tired. The regrowth is in the right frontal lobe and has grown very, very slightly since initially detected. So Angela is facing potential monthly chemo treatments for a long, long time. The fact that it is Stage 2 and should be controllable with the chemo is the current reality. However, the possibility of radiation and stronger chemotherapy vs. other treatments down the road is always in the back of her mind. As always, its in God’s hands. Specialists in Mississippi follow her as she takes a chemotherapy drug in pill form on a monthly basis; initially it was spaced out to once every three months. Now, its once a month. As I talked to Angela recently it hit me how much she had kept from others. The pain, the long sleepless nights, the nastiness that comes from chemo. She truly represents why I run for the American Cancer Society and I am honored to call her my sister-in-law. In 2 weeks, I will run the Chicago Marathon and I will run in the honor of Angela Bryowsky and many others who have lost this battle, are fighting this battle, and have survived this battle. My prayer is that not only will Angela recover fully but that the money that is being raised by the many members of Team Determination will be used to find a cure for the millions who are in the fight for their lives.